Moringa Mavens welcome Affiliate Marketing. Please complete the form below and we will register you. By signing up to be an Affiliate in the Moringa Mavens - Moringa Oleifera South Africa | Organic Food Supplement SA | South Africa Moringa | Moringa SA | Health Food Supplement South Africa | Moringa Leaves help healthy blood sugar levels | Moringa Honey South Africa | Moringa Extract South Africa | Moringa assist ADHD children | Nutritional Moringa SA Affiliate Program ("Program") you are agreeing to be bound by the following terms and conditions ("Terms of Service"). Moringa Mavens - Moringa Oleifera South Africa | Organic Food Supplement SA | South Africa Moringa | Moringa SA | Health Food Supplement South Africa | Moringa Leaves help healthy blood sugar levels | Moringa Honey South Africa | Moringa Extract South Africa | Moringa assist ADHD children | Nutritional Moringa SA reserves the right to update and change the Terms of Service from time to time without notice. Any new features that augment or enhance the current Program, including the release of new tools and resources, shall be subject to the Terms of Service. Continued use of the Program after any such changes shall constitute your consent to such changes. Violation of any of the terms below will result in the termination of your Account and for forfeiture of any outstanding affiliate commission payments earned during the violation. You agree to use the Affiliate Program at your own risk. You are responsible for maintaining the security of your account and password. Moringa Mavens - Moringa Oleifera South Africa | Organic Food Supplement SA | South Africa Moringa | Moringa SA | Health Food Supplement South Africa | Moringa Leaves help healthy blood sugar levels | Moringa Honey South Africa | Moringa Extract South Africa | Moringa assist ADHD children | Nutritional Moringa SA cannot and will not be liable for any loss or damage from your failure to comply with this security obligation. You may not use the Affiliate Program to earn money on your own Moringa Mavens - Moringa Oleifera South Africa | Organic Food Supplement SA | South Africa Moringa | Moringa SA | Health Food Supplement South Africa | Moringa Leaves help healthy blood sugar levels | Moringa Honey South Africa | Moringa Extract South Africa | Moringa assist ADHD children | Nutritional Moringa SA product accounts. Once you have signed up for the Affiliate Program, you will be assigned a unique Affiliate Code. You are permitted to place links, banners, or other graphics we provide with your Affiliate Code on your site, in your emails, or in other communications. 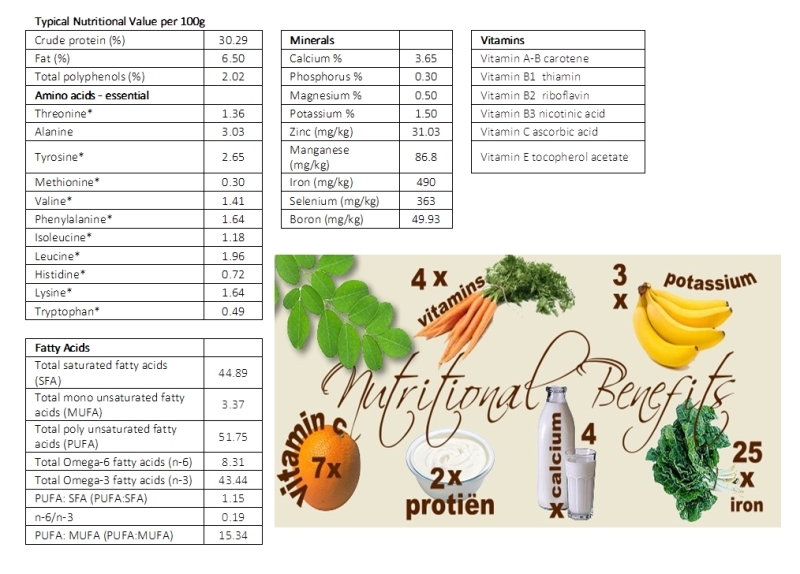 We will provide you with guidelines, link styles, and graphical artwork to use in linking to Moringa Mavens - Moringa Oleifera South Africa | Organic Food Supplement SA | South Africa Moringa | Moringa SA | Health Food Supplement South Africa | Moringa Leaves help healthy blood sugar levels | Moringa Honey South Africa | Moringa Extract South Africa | Moringa assist ADHD children | Nutritional Moringa SA. We may change the design of the artwork at any time without notice, but we won't change the dimensions of the images without proper notice. To permit accurate tracking, reporting, and referral fee accrual, we will provide you with special link formats to be used in all links between your site and the Moringa Mavens - Moringa Oleifera South Africa | Organic Food Supplement SA | South Africa Moringa | Moringa SA | Health Food Supplement South Africa | Moringa Leaves help healthy blood sugar levels | Moringa Honey South Africa | Moringa Extract South Africa | Moringa assist ADHD children | Nutritional Moringa SA. You must ensure that each of the links between your site and the Moringa Mavens - Moringa Oleifera South Africa | Organic Food Supplement SA | South Africa Moringa | Moringa SA | Health Food Supplement South Africa | Moringa Leaves help healthy blood sugar levels | Moringa Honey South Africa | Moringa Extract South Africa | Moringa assist ADHD children | Nutritional Moringa SA properly utilizes such special link formats. Links to the Moringa Mavens - Moringa Oleifera South Africa | Organic Food Supplement SA | South Africa Moringa | Moringa SA | Health Food Supplement South Africa | Moringa Leaves help healthy blood sugar levels | Moringa Honey South Africa | Moringa Extract South Africa | Moringa assist ADHD children | Nutritional Moringa SA placed on your site pursuant to this Agreement and which properly utilize such special link formats are referred to as "Special Links." You will earn referral fees only with respect to sales on a Moringa Mavens - Moringa Oleifera South Africa | Organic Food Supplement SA | South Africa Moringa | Moringa SA | Health Food Supplement South Africa | Moringa Leaves help healthy blood sugar levels | Moringa Honey South Africa | Moringa Extract South Africa | Moringa assist ADHD children | Nutritional Moringa SA product occurring directly through Special Links; we will not be liable to you with respect to any failure by you or someone you refer to use Special Links or incorrectly type your Affiliate Code, including to the extent that such failure may result in any reduction of amounts that would otherwise be paid to you pursuant to this Agreement. Affiliate links should point to the page of the product being promoted. For a Product sale to be eligible to earn a referral fee, the customer must click-through a Special Link from your site, email, or other communications to http://moringamavens.com and complete an order for a product during that session. We will only pay commissions on links that are automatically tracked and reported by our systems. We will not pay commissions if someone says they purchased or someone says they entered a referral code if it was not tracked by our system. We can only pay commissions on business generated through properly formatted special links that were automatically tracked by our systems. We reserve the right to disqualify commissions earned through fraudulent, illegal, or overly aggressive, questionable sales or marketing methods. Payments only begin once you've earned more than $20 in affiliate income. If your affiliate account never crosses the $20 threshold, your commissions will not be realized or paid. We are only responsible for paying accounts that have crossed the $20 threshold. You may not issue any press release with respect to this Agreement or your participation in the Program; such action may result in your termination from the Program. In addition, you may not in any manner misrepresent or embellish the relationship between us and you, say you develop our products, say you are part of Moringa Mavens - Moringa Oleifera South Africa | Organic Food Supplement SA | South Africa Moringa | Moringa SA | Health Food Supplement South Africa | Moringa Leaves help healthy blood sugar levels | Moringa Honey South Africa | Moringa Extract South Africa | Moringa assist ADHD children | Nutritional Moringa SA or express or imply any relationship or affiliation between us and you or any other person or entity except as expressly permitted by this Agreement (including by expressing or implying that we support, sponsor, endorse, or contribute money to any charity or other cause). You may not purchase products through your affiliate links for your own use. Such purchases may result (in our sole discretion) in the withholding of referral fees and/or the termination of this Agreement. The term of this Agreement will begin upon our acceptance of your Program application and will end when terminated by either party. Either you or we may terminate this Agreement at any time, with or without cause, by giving the other party written notice of termination. Upon the termination of this Agreement for any reason, you will immediately cease use of, and remove from your site, all links to http://moringamavens.com, and all of our trademarks, trade dress, and logos, and all other materials provided by or on behalf of us to you pursuant hereto or in connection with the Program. Moringa Mavens - Moringa Oleifera South Africa | Organic Food Supplement SA | South Africa Moringa | Moringa SA | Health Food Supplement South Africa | Moringa Leaves help healthy blood sugar levels | Moringa Honey South Africa | Moringa Extract South Africa | Moringa assist ADHD children | Nutritional Moringa SA reserves the right to end the Program at any time. Upon program termination, Moringa Mavens - Moringa Oleifera South Africa | Organic Food Supplement SA | South Africa Moringa | Moringa SA | Health Food Supplement South Africa | Moringa Leaves help healthy blood sugar levels | Moringa Honey South Africa | Moringa Extract South Africa | Moringa assist ADHD children | Nutritional Moringa SA will pay any outstanding earnings accrued above $20. Moringa Mavens - Moringa Oleifera South Africa | Organic Food Supplement SA | South Africa Moringa | Moringa SA | Health Food Supplement South Africa | Moringa Leaves help healthy blood sugar levels | Moringa Honey South Africa | Moringa Extract South Africa | Moringa assist ADHD children | Nutritional Moringa SA, in its sole discretion, has the right to suspend or terminate your account and refuse any and all current or future use of the Program, or any other Moringa Mavens - Moringa Oleifera South Africa | Organic Food Supplement SA | South Africa Moringa | Moringa SA | Health Food Supplement South Africa | Moringa Leaves help healthy blood sugar levels | Moringa Honey South Africa | Moringa Extract South Africa | Moringa assist ADHD children | Nutritional Moringa SA service, for any reason at any time. Such termination of the Service will result in the deactivation or deletion of your Account or your access to your Account, and the forfeiture and relinquishment of all potential or to-be-paid commissions in your Account if they were earned through fraudulent, illegal, or overly aggressive, questionable sales or marketing methods. Moringa Mavens - Moringa Oleifera South Africa | Organic Food Supplement SA | South Africa Moringa | Moringa SA | Health Food Supplement South Africa | Moringa Leaves help healthy blood sugar levels | Moringa Honey South Africa | Moringa Extract South Africa | Moringa assist ADHD children | Nutritional Moringa SA reserves the right to refuse service to anyone for any reason at any time. We make no express or implied warranties or representations with respect to the Program or any products sold through the Program (including, without limitation, warranties of fitness, merchantability, noninfringement, or any implied warranties arising out of a course of performance, dealing, or trade usage). In addition, we make no representation that the operation of the Moringa Mavens - Moringa Oleifera South Africa | Organic Food Supplement SA | South Africa Moringa | Moringa SA | Health Food Supplement South Africa | Moringa Leaves help healthy blood sugar levels | Moringa Honey South Africa | Moringa Extract South Africa | Moringa assist ADHD children | Nutritional Moringa SA will be uninterrupted or error-free, and we will not be liable for the consequences of any interruptions or errors. This Agreement will be governed by the laws of The United States, without reference to rules governing choice of laws. You may not assign this Agreement, by operation of law or otherwise, without our prior written consent. Subject to that restriction, this Agreement will be binding on, inure to the benefit of, and be enforceable against the parties and their respective successors and assigns. Our failure to enforce your strict performance of any provision of this Agreement will not constitute a waiver of our right to subsequently enforce such provision or any other provision of this Agreement. The failure of Moringa Mavens - Moringa Oleifera South Africa | Organic Food Supplement SA | South Africa Moringa | Moringa SA | Health Food Supplement South Africa | Moringa Leaves help healthy blood sugar levels | Moringa Honey South Africa | Moringa Extract South Africa | Moringa assist ADHD children | Nutritional Moringa SA to exercise or enforce any right or provision of the Terms of Service shall not constitute a waiver of such right or provision. The Terms of Service constitutes the entire agreement between you and Moringa Mavens - Moringa Oleifera South Africa | Organic Food Supplement SA | South Africa Moringa | Moringa SA | Health Food Supplement South Africa | Moringa Leaves help healthy blood sugar levels | Moringa Honey South Africa | Moringa Extract South Africa | Moringa assist ADHD children | Nutritional Moringa SA and govern your use of the Service, superceding any prior agreements between you and Moringa Mavens - Moringa Oleifera South Africa | Organic Food Supplement SA | South Africa Moringa | Moringa SA | Health Food Supplement South Africa | Moringa Leaves help healthy blood sugar levels | Moringa Honey South Africa | Moringa Extract South Africa | Moringa assist ADHD children | Nutritional Moringa SA (including, but not limited to, any prior versions of the Terms of Service).